May’s mixtape features selections from a pair of the year’s most essential compilations: Alice Coltrane’s “Turiyasangitananda” (Luaka Bop) and Nick Cave & The Bad Seeds’ retrospective set “Lovely Creatures” (Mute). May’s mixtape also features new releases from: A Hawk And A Hacksaw’s Heather Trost who releases her sublime solo debut “Agistri” on June 2nd via LM Duplication; Animal Collective’s “The Painters” EP (Domino); Stockholm-based electronic duo Roll The Dice’s “Born To Ruin” (The New Black); “Wade In” by Julianna Barwick (part of the extensive “Our First 100 Days” benefit compilation); Wolfgang Voigt releases “Narkopop” via Kompakt, his latest ambient opus under his GAS guise and first for twenty years; Heather Woods Broderick’s gorgeous new 7″ single “Home Winds” (recorded in response to the photographs of Benjamin Swett and published as a collaborative project between both artists by Planthouse Inc). Compiled by Fractured Air, May 2017. The copyright in these recordings is the property of the individual artists and/or record labels. If you like the music, please support the artist by buying their records. We’re delighted to present the first in a new series of monthly mixes made for Paris-based music website La Blogothèque. Over the last six years, La Blogothèque has been a source of much inspiration, not least in how they showcase (and share) their true passion for music. While each mix will be published on La Blogothèque’s website, we will also post the mixes on our own Mixcloud Page. 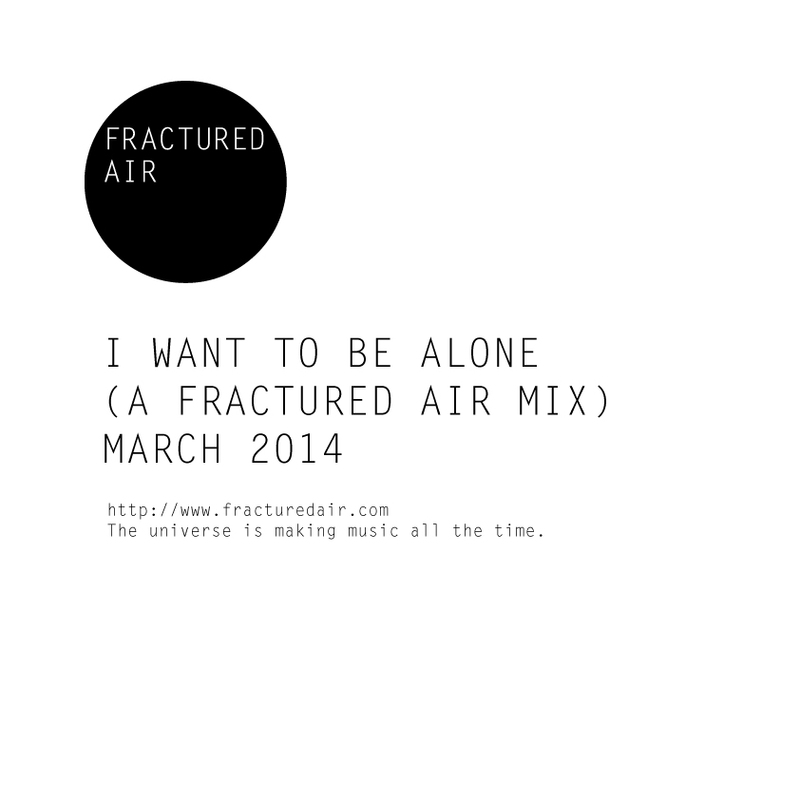 While we had made the decision to stop Fractured Air last November, the opportunity that presented itself with contributing for La Blogothèque gave us reason to resume – in the capacity of contributing mixes – for the coming months. We hope you enjoy them. Compiled by Fractured Air, January 2016. The copyright in these recordings is the property of the individual artists and/or record labels. If you like the music, please support the artist by buying their records.